Home Beyond Broadway	Barry Manilow’s “Harmony” Opens in L.A. 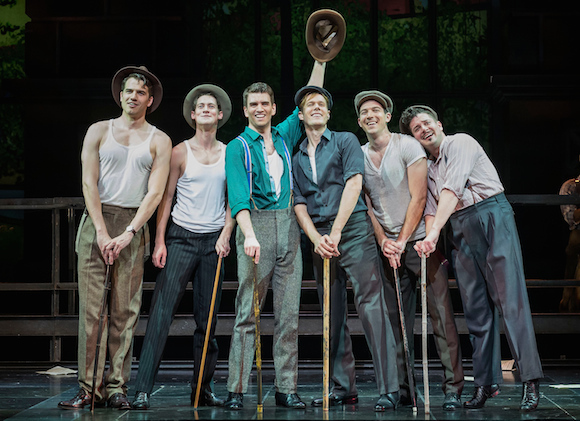 The cast of “Harmony” at the CTG/Ahmanson Theatre (photo: Craig Schwartz) via The Broadway Blog. Will Barry Manilow’s Harmony ever make it to Broadway? 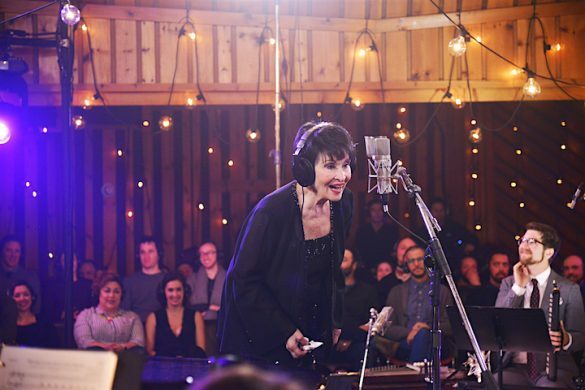 The show has been kicking around for more than a decade after a nasty legal battle where Manilow and co-writer Bruce Sussman had to fight to regain rights after the producers failed to bring it to the Great White Way. 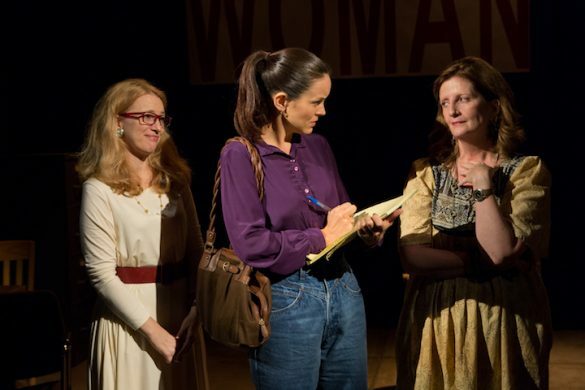 The musical is revisited this spring in a co-production between Center Theatre Group/Ahmanson Theatre (L.A.) and the Alliance Theatre in Atlanta. Directed by Tony Speciale, with music by Manilow and book and lyrics by Sussman, Harmony tells the true story of The Comedian Harmonists, an ensemble of six young men in pre-WWII Germany who rose from unemployed street musicians to become world-famous entertainers, selling millions of records, starring in over a dozen films, and selling out the most prestigious concert halls around the world. 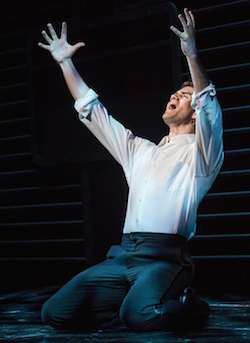 Shayne Kennon in “Harmony” at CTG/Ahmanson Theatre (photo: Craig Schwartz) via The Broadway Blog. They were the first sensational boy band, sold millions of records, starred in a dozen films and packed the houses of the most prestigious concert halls around the globe until the world they knew forever changed. Yet while The Comedian Harmonists’ sophisticated music, paired with hilarious comedy, made them the brightest of stars, the group’s mixture of Jews and non-Jews put them on a collision course with history. When Manilow and Sussman began working on Harmony, Roman “Rabbi” Cykowski was the only surviving member of The Comedian Harmonists, and was able to talk with them about his life and experiences before passing away in 1998. His memories, along with available historical information, provide the basis for the musical.